Many foreigners enjoy visiting the Philippines, so much so that quite a few of them decide to stay for long stretches and even marry a Filipino. You can enjoy a visit to the Philippines for little more than the savings you get from using Groupon Coupons. There is no denying that the country has much to offer to tourists, not the least of which is the beaches and the friendly people. 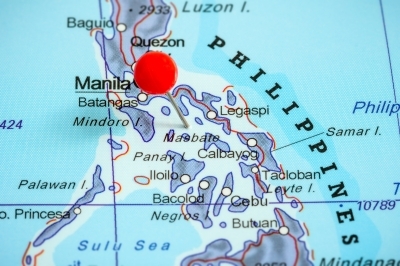 However, it would be advisable to know what to expect when traveling in the Philippines. The Philippines is both hot and humid. While many foreigners think that 40 degrees Celsius is not so bad, they are discounting the fact that the humidity levels are very high, especially at the height of summer. This means copious sweating, which is incompatible for anything but the lightest of materials. Cotton is good because it absorbs well; polyester not so much. It is normal to wear jeans and slacks, so you don’t necessarily have to live in shorts. Hardly anyone wears a hat in the cities, although caps are; an umbrella would be more common. The glare of the sun is quite strong, so make sure to bring a lot of sun block and wear it at all times. Even if you are visiting the cooler cities in the mountain provinces, you can still get a serious case of sunburn. Mosquitoes are also plentiful, so an effective mosquito repellent is your best friend at night. Filipinos are friendly, but there are certain areas you really have to avoid if you are a foreigner. Dissidents and insurgents target foreigners that wander into their territory. The latest warnings are for the Sulu Archipelago and most areas in Mindanao. Some areas in Luzon are also danger zones for foreigners. If you must travel outside Metro Manila and other recognized tourist spots, consult your embassy for advice first. Arrange for a reliable guide as well. As a final note, the municipal water in the Philippines is not potable. Do no drink directly from the tap. It would be advisable to drink only bottled water while you are here. It would also be advisable to avoid eating the street food unless a reliable guide says it is okay. This entry was posted in Places to visit, Tourists destination, Travel tips, Vacation spots and tagged visit Philippines, what to expect when traveling in the Philippines on March 3, 2016 by Yami.